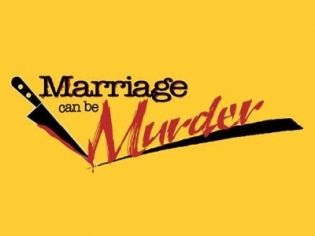 You become part of the show in Marriage Can Be Murder, an award-winning interactive comedy and murder mystery dinner experience. Think "Clue"! Save $22 per ticket + get a free ticket to see Laughternoon. Save up to $22 per ticket when you book online with this offer today. Tickets start at just $78 before taxes and fees. Be sure to compare all offers to get the best rates for the date/time you would like to attend. A masterfully done dinner theater murder mystery and comedy performance. The actors are planted in the audience for an interactive experience that will have you laughing and participating in the action. Marriage Can Be Murder is the longest running dinner show in Vegas, often considered the “most fun” show as well. The show changes every three months to keep the performance fresh and encourages repeat visits by the huge fan base. Enjoy a delicious dinner while participating in the murder mystery. The actors planted in the audience are not immediately apparent and everyone is considered as a suspect in the murder. Funny one-liners and impromptu interaction with the audience members create twists and turns and comedic relief. Marriage Can Be Murder combines comedy and suspense to keep you guessing through the dessert course. The action never stops and even during intermissions and breaks be sure to be aware of what’s going on as it could be key to solving the mystery. I love murder mystery dinners, and this one was so much fun. Absolutely the best one I’ve been to because it was so interactive. You must go! This was a good one. The Dinner Theater was very cool! It wasn’t super fancy, but it really added to the show. Cast was fabulous and did a nice job involving the crowd. We would definitely see this one again. This show was so much fun! It was an interactive comedy, murder mystery, dinner theater! I ate a little bit, there was comedy, had a drink, ate a little more, more comedy, more alcohol! The humor was really funny! I don’t think there was even one dull moment! This was definitely a different act to see but well worth it! The food was great and the show was interactive and entertaining. Marriage Can Be Murder was better than any other dinner show. The actors were great and the staff was very attentive. Great price for what you get.